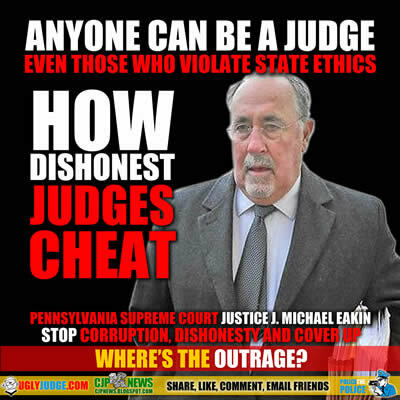 A state Senator from Philadelphia Tuesday became the first elected official to call for Supreme Court Justice J. Michael Eakin to resign because of sexually suggestive and other potentially offensive material found on his personal email account. Sen. Anthony Williams, D-Philadelphia, demanded Eakin’s “immediate resignation” at a Capitol press conference. Williams said his call is based both on the content displayed in Eakin’s emails, and the fact that the justice was routinely copied in a “cozy” circuit that included various prosecutors, defense attorneys an other judges. “Justice Eakin’s presence has become a major distraction to the court’s work at a time when it has already been riddled with scandal,” Williams said. “His transgressions have also called into question his judgment in cases dealing with women and people of color.